While apartment hunting throughout Harlem with a good friend this past weekend, I stumbled across some interesting information. 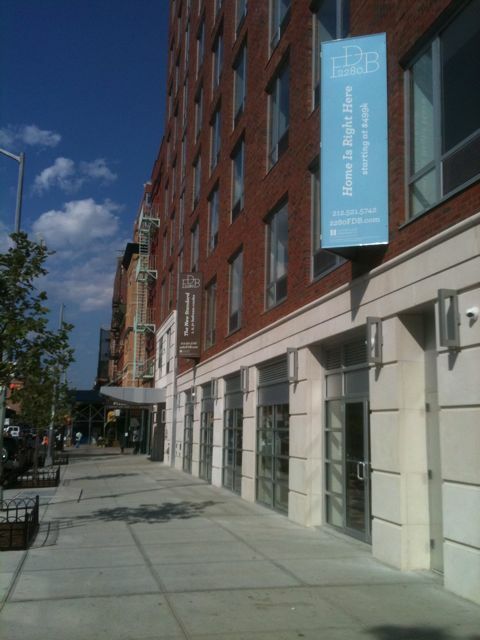 A sales representative at 2280 Frederick Douglass Blvd., one of the new condo buildings built from the ground up in West Harlem, made a point to say to the potential buyer that their retail space was in contract with Busboys and Poets from Washington, D.C., a restaurant, bookstore, fair trade market and gathering place where people can discuss issues of importance. The 2280 FDB sales rep was emphatic to the potential buyer about how their retail space was taken. They said Busboys and Poets is moving into their large retail space and then a florist is moving into the smaller part where the sales office currently resides. The florist will move in after the majority of apartment sales are complete. When I heard this information, I was dumbfounded. 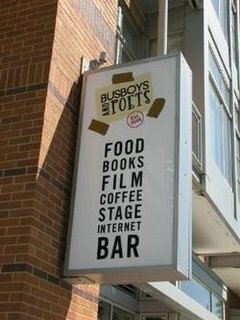 I did not know who Busboys and Poets was even though I lived in D.C. for many years. That’s because I was long gone from D.C. when Busboys and Poets opened, which was in 2005. My friend, who was looking to buy an apartment in Harlem, knew of them and said it was a good business to come to Harlem. Interesting stuff. So I called over to the press office of Busboys and Poets to see what the deal was and the person who answered the phone confirmed they do have plans to open another restaurant outside of the Beltway and into Harlem. However, the individual could not confirm the exact location, say when or if an agreement was signed for the first level retail space at 2280 FDB, nor say exactly when Busboys and Poets will open for business in Harlem. They had to direct me to the owner for further clarification, which I reached out to but he was not available for comment. If all this checks out, looks like Busboys and Poets will be joining many other restaurant establishments, who have decided to make Frederick Douglass Blvd. their home! Let’s see what happens. Stay tuned! It would be awesome if B&P came up here. I will be looking out for this. Any update on this post? Are they coming here? Brilliant news and a genius move by Busboys & Poets. The foot traffic from the Aloft Hotel alone will be immense. A huge benefit to both business ventures. Combined with the Hyatt that is on the way, these are exciting times. I remember when the only market here was for crack. Glad that Harlem has slightly better ways to get enlightened these days 🙂 . Beyond awesome news. This is hands down the best vision for the area. I hope it becomes reality. I would live there. I wonder what florist. I hope Harlem Flo expands into that sales office space, otherwise it would make no sense to have two florists on adjacent blocks. I lived in D.C. not far from Poets and Busboys, which was a wonderful gathering spot operated by an enlightened restaurateur who owns other popular places. Good! That’s great news! What a wonderful establishment and something new for Harlem. If this is true, this would really be great & exciting news to have this kind of establishment be a part of the neighborhood.